I'm incredibly inspired by the handpainted watercolor textiles of Lourdes Sanchez. To view more of these amazing designs, visit LuliSanchez.com. I love hand painted textiles as well. Thanks for the link I'm going to check out Lourdes. 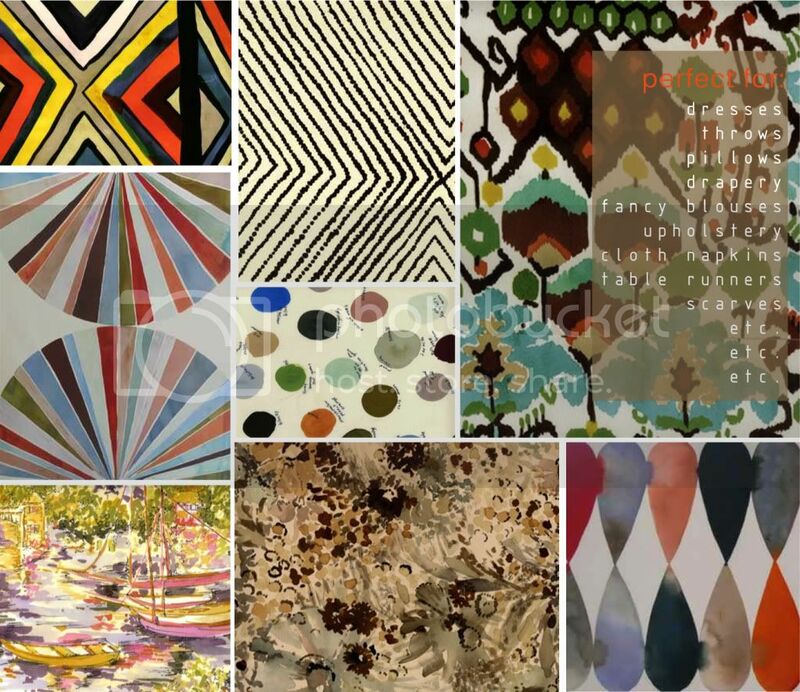 I'm a fan of Trina Turk textiles as well. So since you're a fellow OC local did you know Kelly Wearstler was @ Fashion Island today for a meet & greet? I wanted to go, but I have a project I was working on. Next time.